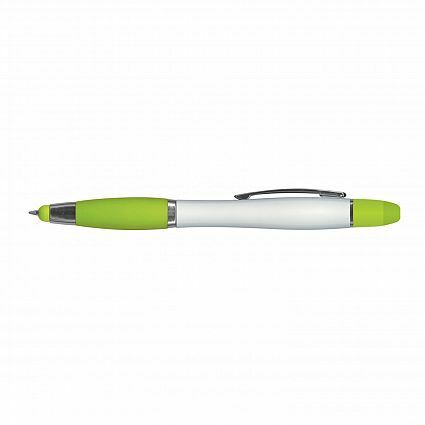 Twist action plastic and metal ball pen with a rubber lacquered grip, matching stylus for use with touch screens and a yellow wax highlighter that will never dry up. 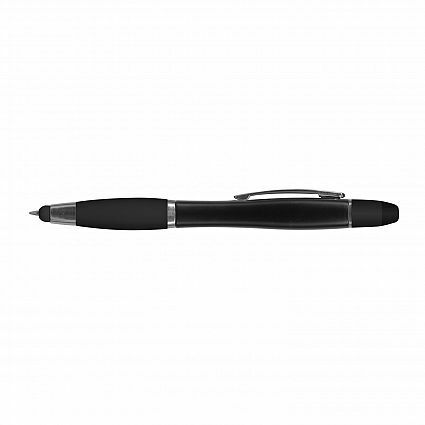 Has a Black ink TRENDS refill with 1200 metres of German manufactured DOKUMENTAL ink and a tungsten carbide ball for improved writing quality. 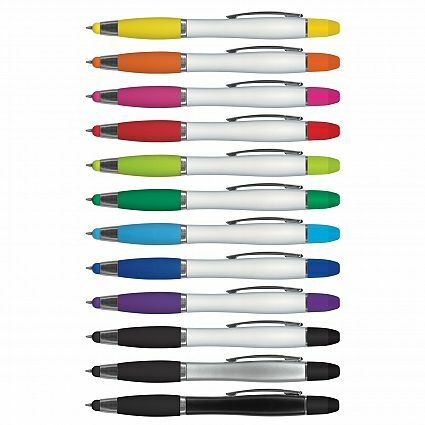 Metallic Silver/Black, White/Yellow, White/Orange, White/Pink, White/Red, White/Bright Green, White/Green, White/Light Blue, White/Dark Blue, White/Purple, White/Black, Black. Dia 13.5mm x L 146mm x 17mm (includes clip).